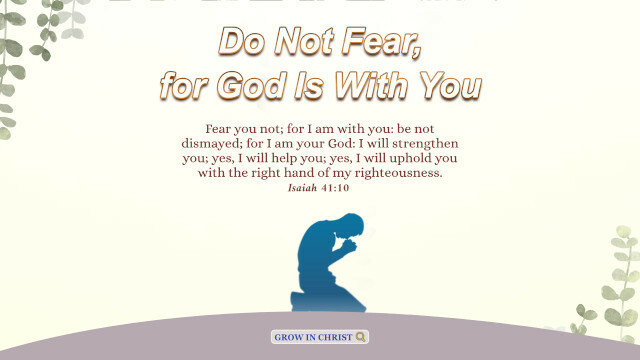 Fear you not; for I am with you: be not dismayed; for I am your God: I will strengthen you; yes, I will help you; yes, I will uphold you with the right hand of my righteousness. These words of God have given us faith and strength when we are in difficulty or adversity. God is faithful. As long as we rely on God at every moment, He is with us to strengthen our faith and help us overcome difficulties and escape from danger. Just as in the face of the Philistines’ invasion and attack, when the Israelite saw the giant Goliath, they fled with fear. Only a boy named David said to the Philistine, “You come to me with a sword, and with a spear, and with a shield: but I come to you in the name of the LORD of hosts, the God of the armies of Israel, whom you have defied. This day will the LORD deliver you into my hand” (1 Samuel 17:45-46). From David’s words, we see that he had a place for God in his heart and that God was with him, so he could rely on God to defeat the powerful enemy and thus see God’s authority and power. In fact, we also meet with all sorts of enemies in our lives, such as poverty, complex relationships, and strenuous work. As long as we entrust these difficulties to God, He will guide and lead us. » » » You are welcome to use our Bible Verse of the Day to enrich your spiritual life. After living together for several years, they will have gotten used to each other, and locked horns a few times.